There're some Neonode Mobile Phone Manuals PDF this page above. 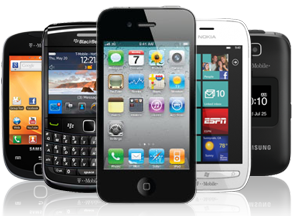 Neonode is founded as a company producing mobile phones, founded in 2001 in Sweden by Magnus Goertz and Thomas Eriksson. Currently he develops solutions for optical touch for various brands of consumer electronics. At the German exhibition CeBit 2002 Neonode introduced the first prototype device with a touch screen optically (and not capacitive and non-resistive). In 2003 it was announced, in the Neonode N1, a mobile phone with dimensions of 88 x 52 x 21 mm, an ARM 922 processor from 220 MHz, a TFT screen, a 2.2 "optical touch with a resolution of 176 x 220 pixels, without the need to use a pen, Windows CE.NET as an operating system, camera, VGA, 64 MB of internal memory with expandable SD / MMC up to 1 GB and WAP 2.0 / xHTML / HTML browser. 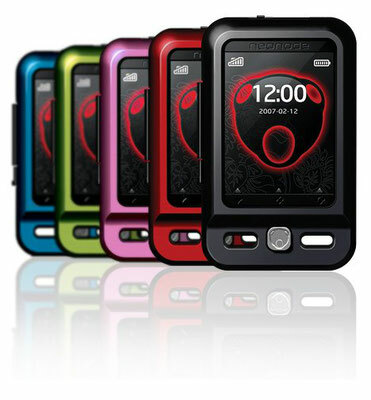 Connect GSM triband, and GPRS, and the device goes on sale in the second quarter 2004. In 2005, he announced the Neonode N1m, the N1 update with a 1 megapixel camera and playback of MP3 / AAC / AAC + / WMA / OGG / AMR and WMV / MP4 music files. 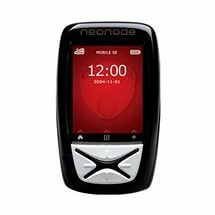 In February 2007 it was announced and in the third quarter of 2007 put up for sale Neonode N2, with dimensions of 77 x 47 x 14.7 mm, connection of four-band GSM and GPRS, weight 70 g, TFT screen 2.0 "optical touch 176 x 200 pixels, 2 MP camera, Bluetooth, WAP 2.0 / xHTML / HTML browser, MP3 / WMA / MPEG / WMV file playback. The package included miniSD cards with a capacity of 1 GB, a charger, a USB cable and earbuds. On December 9, 2008, Neonode declared bankruptcy due to lack of funds, but was again founded by Thomas Eriksson (Manuals PDF page). Currently, Neonode is engaged in the patented zForce technology, a technology that allows the use of touch on any screen and from any object. In 2010, the concept-ClearTouch and SB with zForce will be introduced and Sony launches an e-reader with zForce technology (Pocket Edition, Touch Edition and Daily Edition models). In 2016, Neonode creates airbags, a device that with zForce Air technology makes the touchscreen of the computer not touch. Read - JOLLA Mobile Phone Manuals PDF.